Pre-heat your oven to 400 degrees Fahrenheit and finely chop your vegetables. 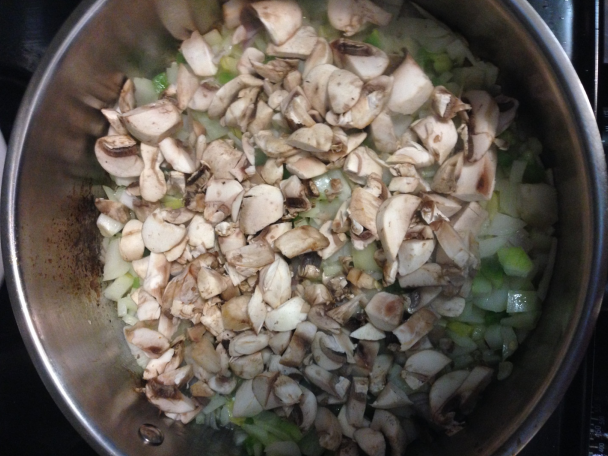 Begin by sautéing the onion, shallot, hot pepper, and mushrooms in a large pan with olive oil. Once the onion is tender, mix in the ground chicken, and sauté until fully cooked. Season with salt, pepper, and cayenne to taste. 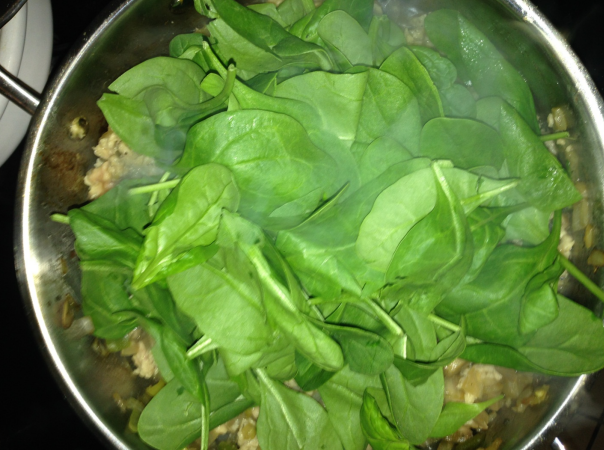 Fold in the spinach and let the mixture simmer while you add some white wine. Clean the bell peppers, cut them in half, and then hollow them out. Place the peppers in a baking pan. 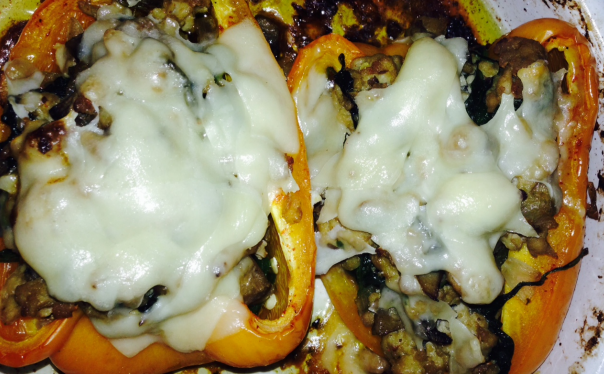 Stuff the peppers with your ground chicken-vegetable mixture, then top with some parmesan cheese. Pour a little bit of the leftover liquid from your sautéed mixture into the bottom of the pan. Roast for 20-30 minutes, until the cheese melts and browns. Then, enjoy! Alternatives: You can make the mixture with a variety of other veggies. Also, for a heartier option (as in not carb-free), you can mix in rice, quinoa, or couscous.